“Delhi Metro Walks” are my way of discovering the city places around the metro stations. This post is about the places to visit around the “Pragati Maidan” station on the Yellow line of Delhi Metro. Delhi Metro network must be one of the fastest growing metro networks in the world. It came to Delhi only about 10 years ago and is already a complex web of lines covering large parts of the huge and growing city of 16 million persons, to which new lines and stations get added every year. It is a convenient way to discover hidden corners of the city. The Blue line is one of the longest lines in the Delhi metro network – it connects Dwarka in the south-west part of Delhi near the international airport to NOIDA and other satellite towns in the north-east. NOIDA in the neighbouring state of Uttar Pradesh is part of the New Capital Region (NCR), the metropolitan area of Delhi . So let us start our walking tour from the Pragati Maidan metro station. Make sure to wear comfortable shoes and keep a wide-brimmed cap or an umbrella to cover your head from the strong sun light. This is a long walking-tour and if you wish, you can spend many hours for this visit. As you come of the station, turn left and follow the boundary walls of the Trade Fair grounds on the Mathura Road. The map below shows the different places to visit during this walking tour. 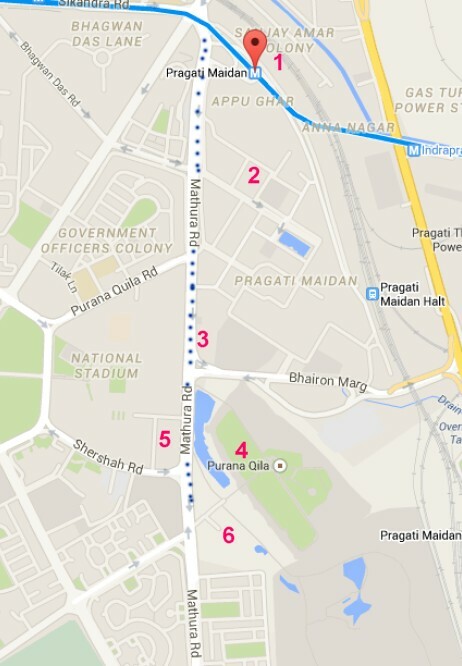 The path on Mathura Road is shown in blue dots, while the sites are marked in red numbers. The trade fair grounds of Delhi called “Pragati Maidan” (literally the words mean “Progress Grounds”) give the name to the metro station. If there is an on-going trade fair, be prepared to tackle huge crowds at this station. As you walk along the walls of the Trade Fair grounds, on your left you will encounter different entry gates. 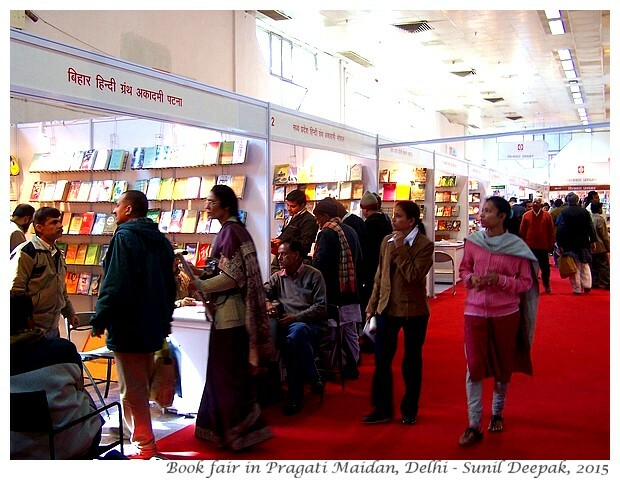 Pragati Maidan has different eating places, theatres and open-air cultural places that function only during the different trade fairs that take place throughout the year, especially between October to February. I personally prefer the trade fairs concerning books and traditional crafts of India, though the fairs dealing with electronics, furniture, etc. and especially the international trade fair, attract a lot of visitors. There are numerous opportunities to see plays, films and dances during the trade fairs, especially in the evening. The quirky modernist architecture of the buildings is also an attraction. If you continue along the outer walls of the trade fair, near the crossing with Bhairon Singh Road, on your left you will find the dargah of Matka pir. 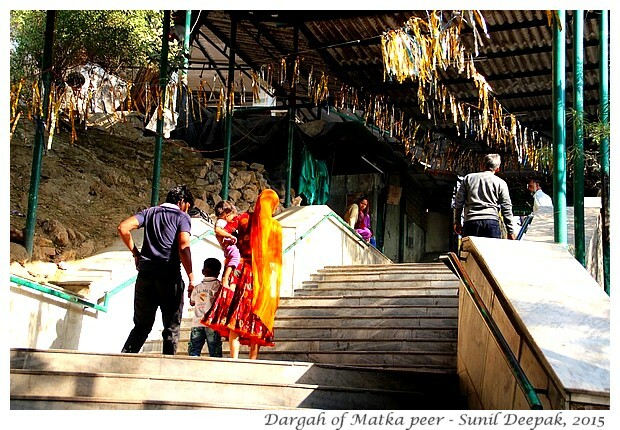 “Dargah” denotes the prayer place of a Sufi pir (saint). Sufi pir are Muslim holy persons in the syncretic religious traditions of India and usually have followers from different religions. Usually the saint is buried in the same dargah and people visit it to ask a mannat (favour). In this dargah, persons asking for a favour offer a matka (a round terracotta vase, traditionally used for storing cool water) to the saint. Thus on the different trees around this place, you will find hundreds of these vases hanging from the branches. Because of them, the saint is known as Matka Pir. 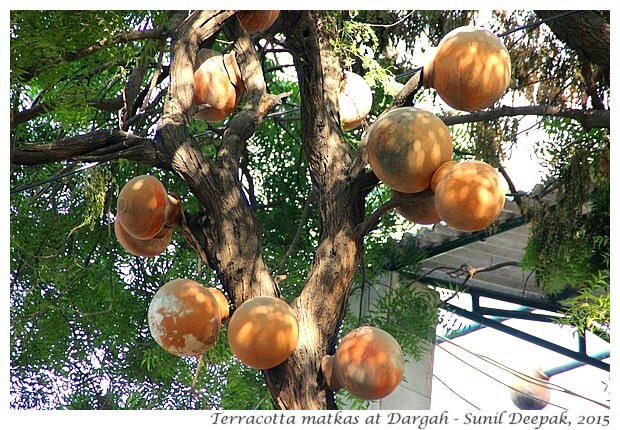 The earthen round matkas are used to offer roasted grams and jaggery at the dargah, because there is a story that the saint had once transformed iron balls and mud into these edibles. At the dargah you can also listen to qawali prayer songs. You need to remove your shoes/sandals and cover your head with a scarf or a handkerchief to enter the dargah. Persons wearing shorts or skirts should not enter the dargah. Just across the sanctuary of Matka Pir, on the other side of Bhairon road, you can see the walls of the Purana Qila or the old fort of Delhi, built in the 16th century. Many kings of Delhi had preferred to built their own forts, shifting each time the imperial city that settled around the king’s fort. Since 1000 AD and over the next 500 years, the imperial city of Delhi had been in Mehrauli, then in Hauz Khas, then in Tughlakabad and finally to the areas around Lodhi gardens. In the 16th century came the Mughals from Western Asia – in 1524 arrived Babar who defeated the Lodhi king and became the new king of Delhi. However, Babar’s reign lasted only a few years and he died in 1530. Hamayun his son became the king but in 1540 he was defeated by Sher Shah Suri and forced to go back to West Asia. After becoming the king, Suri decided to build a new fort, that is now known as the Purana Qila, some kilometres to the east, in an area known as Indraprastha, where the legend said that the ancient city of Pandavas from the Hindu epic Mahabharata was situated. Hamayun came back and attacked Delhi in 1555 and defeated Suri. 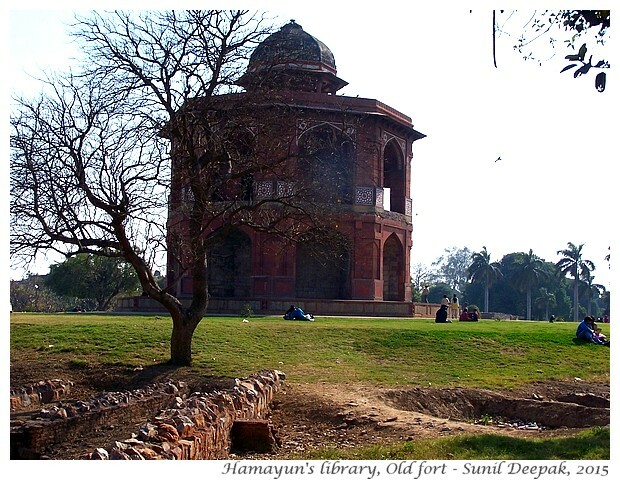 Hamayun decided to live in Suri’s fort and constructed some new buildings inside the fort, including a round library. A year later, Hamayun died, falling down from the stairs of that round building, and his 14 year old son Jalaluddin Mohammed (Akbar) became the king. As Akbar grew up, he decided to shift to Agra and along with him the imperial city also shifted. Suri’s fort was abandoned and was covered with plants and trees, and a village came up inside it. For the next 100 years, the Mughal kings - Akbar, followed by Jahangir and Shahjahan continued to live in Agra. 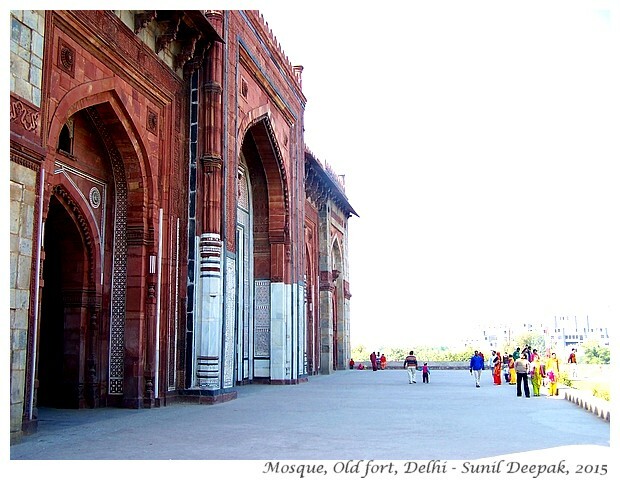 In 1658, Shahjahan’s son Aurangzeb became the king and he brought back the imperial city to Delhi, where his father had built a new fort to the north-east of the Delhi (Red Fort). 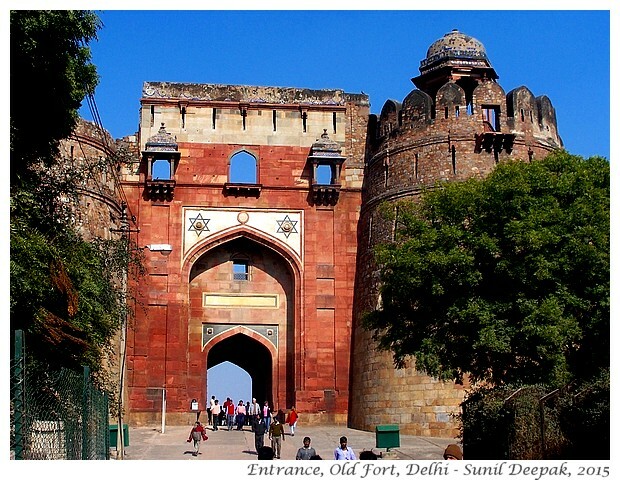 With this glimpse of the history of Delhi, you can visit the old fort. 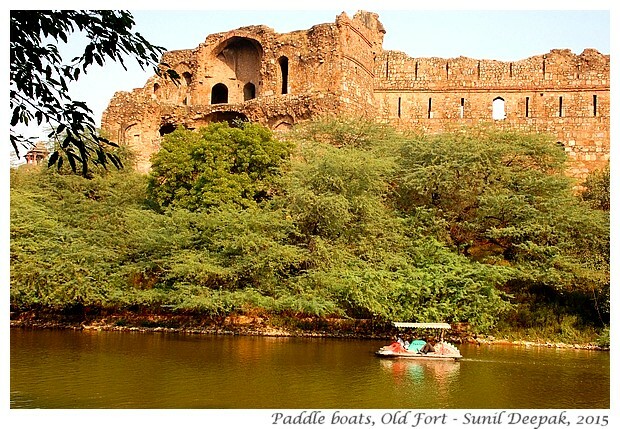 Its outer walls are surrounded by a small lake, a popular place for paddle-boating during summers. Inside the fort, some buildings including a mosque and the round shaped library of Hamayun are in good condition. 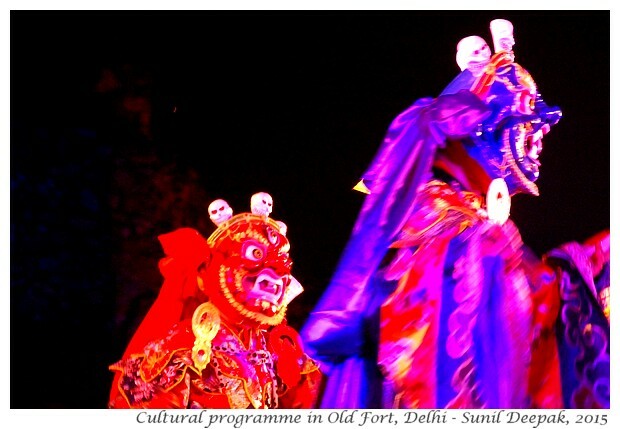 The old fort is the venue of some important cultural activities. For example, each year in November, the Ananya dance festival is held here. 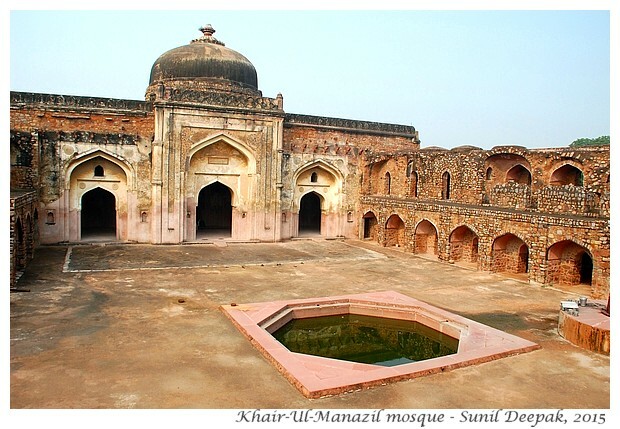 Just across the road from the old fort is Khair-ul-Manazil (literally “The most beautiful building”), the house of Maham Angah, the wet nurse of prince Jalaluddin Akbar. This building was built in 1561-62. Maham Angah was supposed to be a very powerful figure for many years in the court of the young king Akbar. However, for conspiring against the king, her son Adham Khan was killed and she was exiled, while Akbar shifted to Agra. If you have seen Ashutosh Gawarikar’s film “Jodha Akbar”, you will certainly remember Maham Angah, played wonderfully by Ila Arun. The mosque of this building is quite well preserved, while the ruins of other buildings of this complex (probably a madrassa or an Islamic school) are worse off. 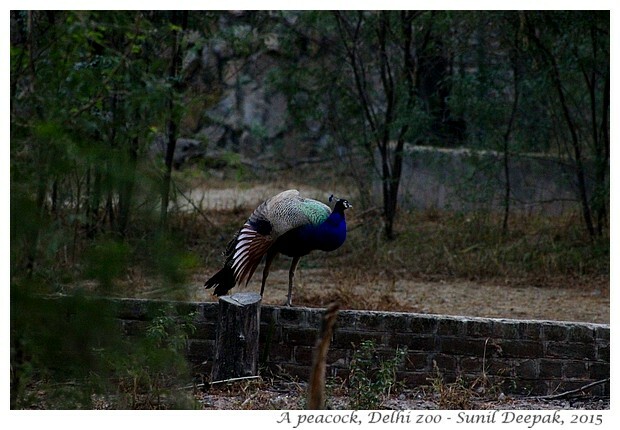 The Delhi zoo is next to the old fort and is one of my favourite places in Delhi. It has wide open spaces where most animals are housed. 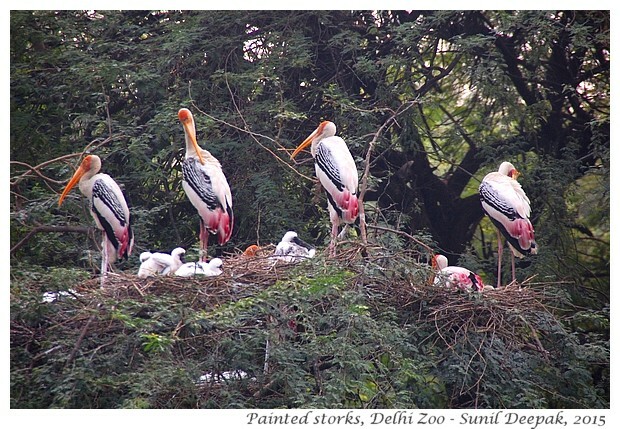 It includes a small lake where a stable colony of painted storks, grey necked storks and cormorants lives. In February when the baby storks are there, it can be a really noisy place. The zoo also has lot of peacocks flying around. The gardens of the zoo have a wide variety of trees and each tree is labelled with a short description. Thus, the zoo is an excellent place to learn about Indian trees. 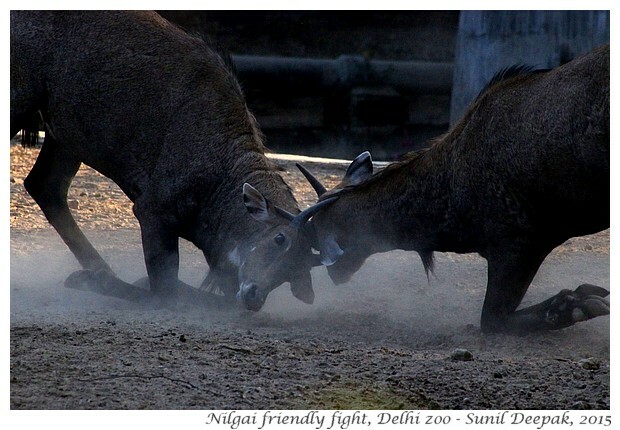 Unfortunately, the persons visiting the zoo, especially adolescent boys, can be very noisy and thus, probably the animals are very stressed. Weekends are usually very crowded here. The zoo also has some antiquated laws regarding cameras so you are supposed to pay extra if you are carrying a camera, even if it is an old simple camera. However, you can take pictures or even shoot videos with your smart phone without paying anything extra. After you finish the zoo visit, you can take an auto-rickshaw to take you back to Pragati Maidan metro station, because it can be a long walk (around 2.5 km)! There are two more places to visit on this tour - both are on Bhairon Road, close to the Dargah of Matka peer - the crafts museum and the Bhairon temple. However, I did not visit them this time because I was too tired! I like this walk because it provides very different kinds of experiences – historical, cultural, culinary, sacred and nature. You can check the Travel page of this blog to see the other walks around metro stations of Delhi. I hope that you have enjoyed taking this walk with me. Interesting post, I prefer traditional crafts fair to the electronic and gadget fairs too. I missed visiting all these places, during my first visit to Delhi last year, as I was there just for 2 days, of which the first day was Holi festival and couldn't visit any places. Yes, I could easily relate the history to Jodha Akbar movie..
Haha, true sir, 2 days is not at all sufficient to explore Delhi or any Indian city for that matter, so much to see and explore.